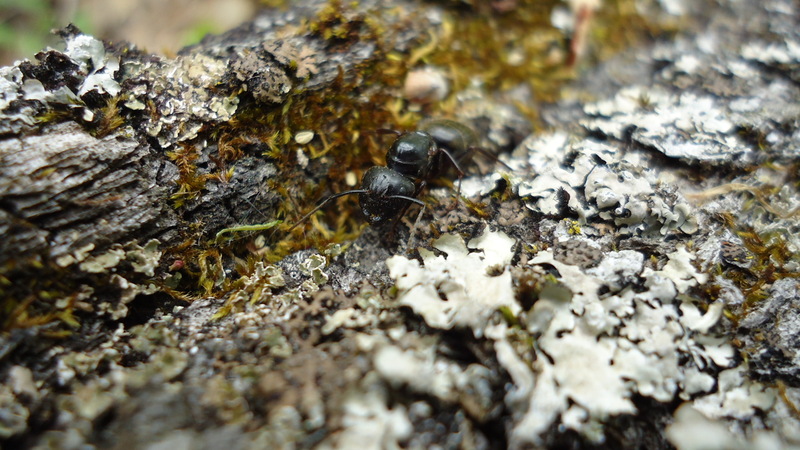 Carpenter ants dominate New England forests but they are most famous as pests that infest rotting wooden structures. Ants often get a bad rap, unfair given their enormous ecological importance. Some quick facts… The evolutionary leap to highly complex societies has occurred only two dozen times and ants are one result (humans too). In New England, ants aerate more soil than earthworms. If you could weigh all the ants in the world their total mass would exceed not only that of all the other insects but also outweigh the biomass of all the non-human vertebrate animals on land! Recent agricultural research has shown that wheat yields are increased by 36% when ants and termites inhabit the crop field. A post-apocalyptic scenario in which humans become extinct and ants come to dominate whatever environment is left on land seems to me like it would make a better movie than one about zombies taking over…Now that I have set the stage: My research in Vermont currently focuses on the use of ants as bioindicators of recovery of a threatened ecosystem (sandplain forest) post-controlled burn (Saint Michael’s College Magazine article). Because ants are ecosystem engineers found in nearly every patch of land on Earth, they may be used to detect gradual environmental change such as that resulting from climate change and other disturbance. Agricultural intensification, the so-called “green revolution”, led to reduced ant diversity due to both obvious and subtle changes: changed microclimates, monoculture leading to outbreaks of exotic and invasive invertebrate species, decreased food availability for ants and increased exposure to predation, as well as direct exposure to chemical pesticides. Are organic farms different from farms employing synthetic chemical pesticides and fertilizers, in terms of ant and other biodiversity? 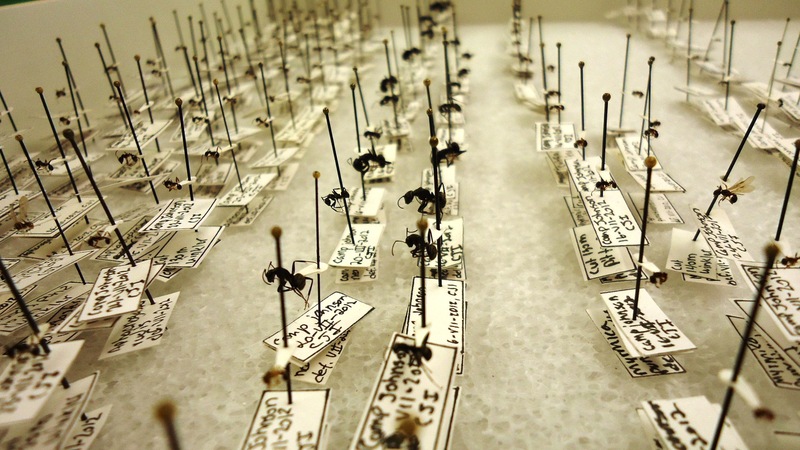 Do patterns in the ant communities of farms mirror those of other invertebrates on farms? Can ants be used as indicators of agroecosystem health, in much the same way they are useful in other ecosystems? These are questions I will focus on for the research project for my Fulbright-Nehru grant, collaborating with scientists at the Wildlife Institute of India, such as Dr. V.P. 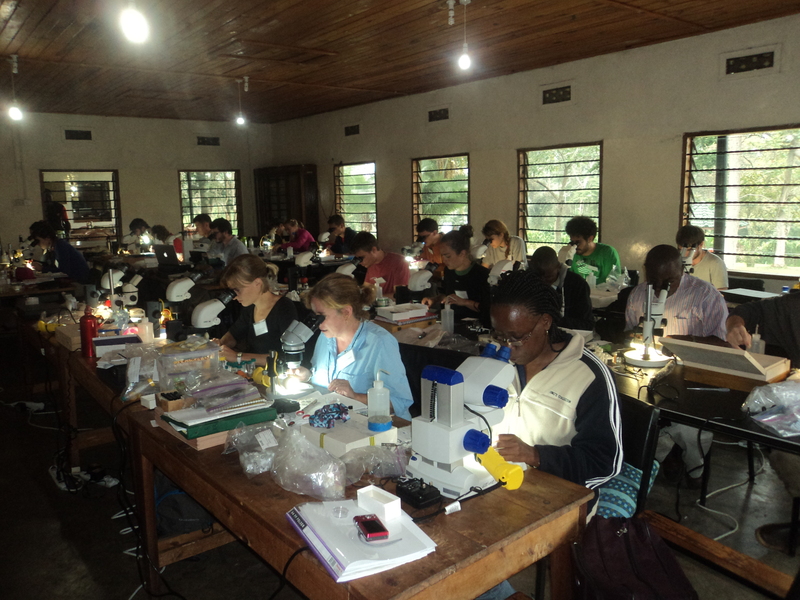 Uniyal who studies the use of spiders and beetles as bioindicators. Dr. Vandana Shiva’s organic farm training center, at Navdanya, will be one of my study sites, as I return to the farm for my third visit (Saint Michael’s College press release). 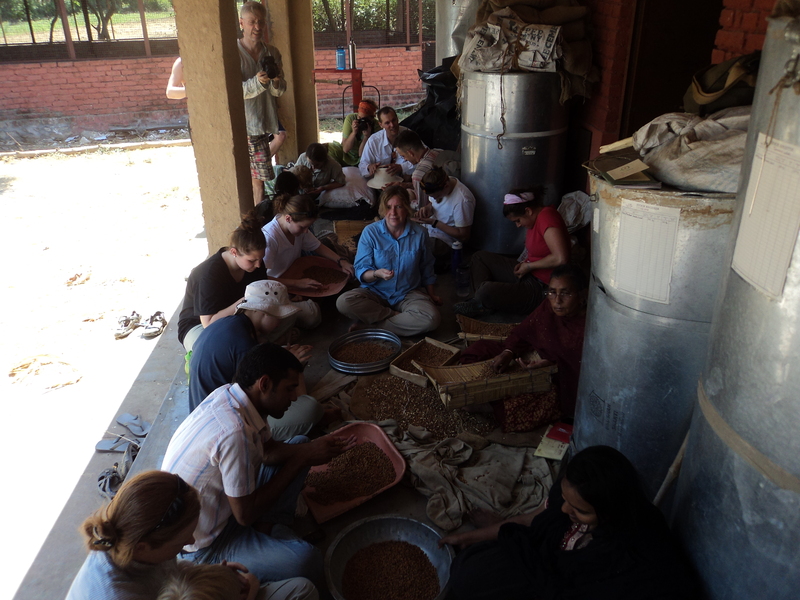 Scientists at Navdanya are interested in knowing what impact the organic farming techniques they utilize are having on broader biodiversity. For the teaching funded by my grant, I’ll be heading farther out into the Garhwal Himalayas and will write another post about those plans. This entry was posted in Research and tagged Ant, Garhwal Himalaya, Navdanya, New England, Organic Farms, Vandana Shiva, Vermont, Wildlife Institute of India. Bookmark the permalink.